I'm so excited to finally reveal another space in our home! 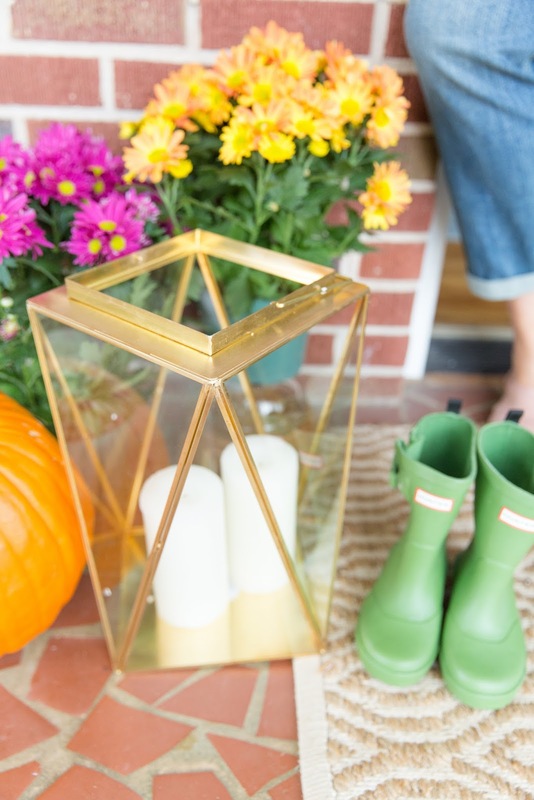 Today I'm teaming up with Pier 1 to share our entryway. This post was sponsored by Pier 1. All thoughts and opinions are my own. So, before we go inside, I have to tell you about the spray on my door! 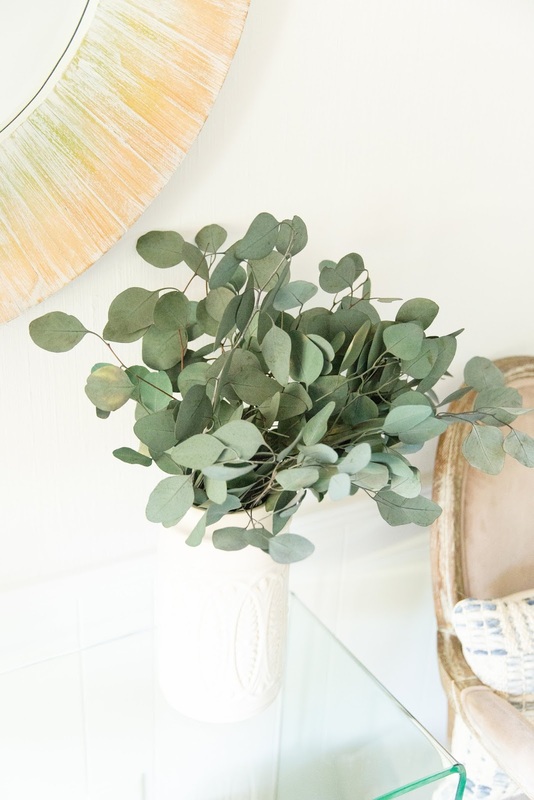 The faux foliage came in a bundle with the eucalyptus you'll see on my entry table. 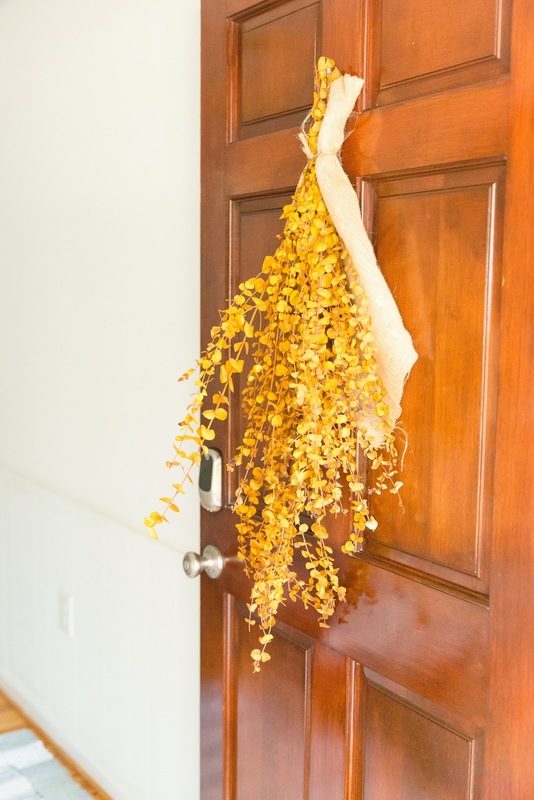 I really wanted to keep the color scheme of my florals in the space fresh and green so I separated out the eucalyptus - and was left with the rich yellow toned bunch and the burlap wrapping. I wrapped the ends of the stems in the original wire the florals were bundled in, repositioned the burlap and ta-da! A fresh take on a classic fall wreath. I love it so hard! 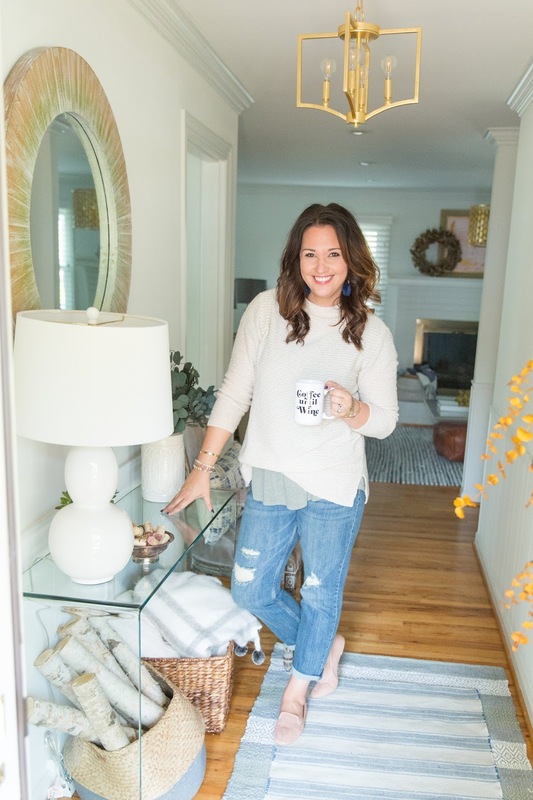 The vibe of this house has really taken on a streamlined farmhouse/coastal chic vibe and I love the direction it's heading. None of our houses have ever had the same style, even though we use the same major furniture pieces in every house, and each of our homes has had a personality of it's own. 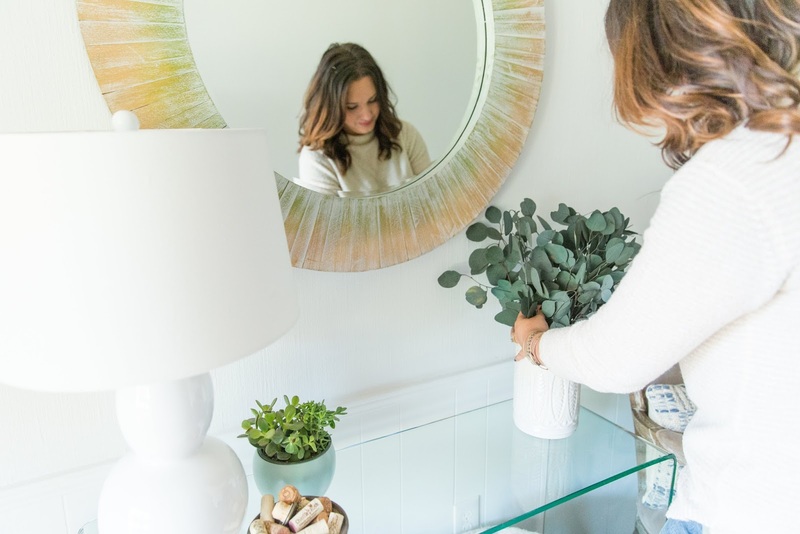 I'm gravitating toward farmhouse accessories for this house but can't seem to stay away from the coastal vibe, as is evident by my new white washed mirror. I decided to cozy things up by layering two rugs with different stripe patterns together and by bringing in accessories that were streamlined but had a ton of texture. The pattern on the vase (which is actually a kitchen jar!) 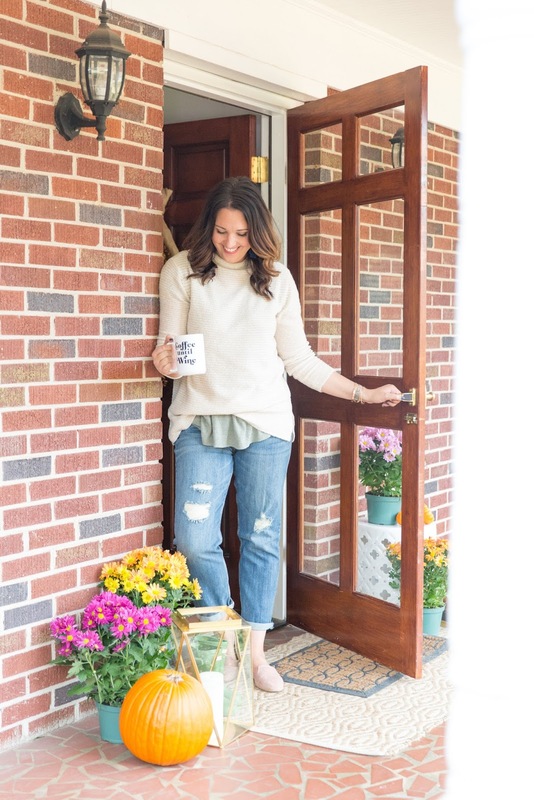 reminds me of a knit sweater and the woven pillow (by none other than Joanna Gaines) has a classic shape but a really luxe weave of different widths. The little silver bowl is an antique that I've had for years and, is of course, filled to the brim with corks from our favorite bottles of wine. The little blue pot of succulents was a find at my local grocery store and I have my fingers crosse that I'm going to keep them alive through the holidays. 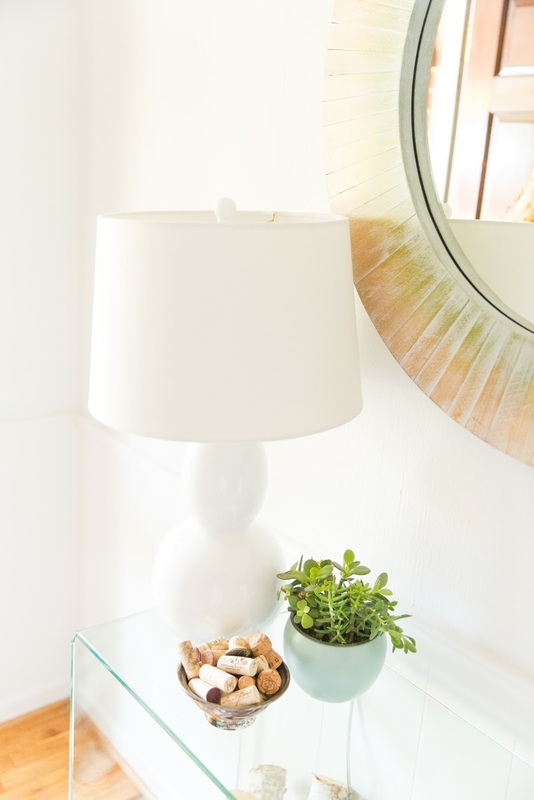 I love the little vignette the two make when paired with the Pier 1 Primavera White Table Lamp (I almost snagged the Sky Blue version, but the white won out). I hope ya'll love this little space as much as I do. 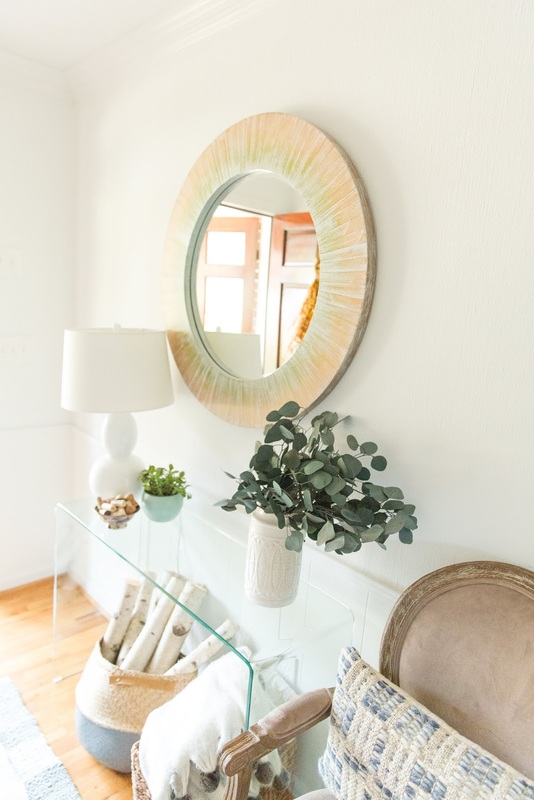 I want everyone who makes their way into our home to feel instantly welcome and comfortable and spending a little time on our entryway decor has made me so excited to welcome our friends and family into this home of ours. Up next, I'll be sharing our living room!